Univision delivered record-breaking viewing numbers for the 2016 Liga MX Final featuring Club America against Tigres. The second leg of the final, played on Christmas Day, was watched by 3.3 million soccer fans in the United States, while last Thursday night’s first leg was viewed by 2.8 million. Altogether, a combined 6.1 million watched the two legs across Univision and Univision Deportes. The Liga MX Apertura 2016 Finals began Thursday, December 22, with a two-game total-goals match-up between perennial powerhouse Club América, the team with more Liga MX titles in history, against northern rivals Tigres UANL. The first leg of the Final delivered more viewers than the two NBA games that aired on TNT last Thursday. Additionally, during Sunday’s match, UDN was the No. 1 sports network in primetime among Adults 18-49 and the No. 2 cable network in primetime amongst Adults 18-49. 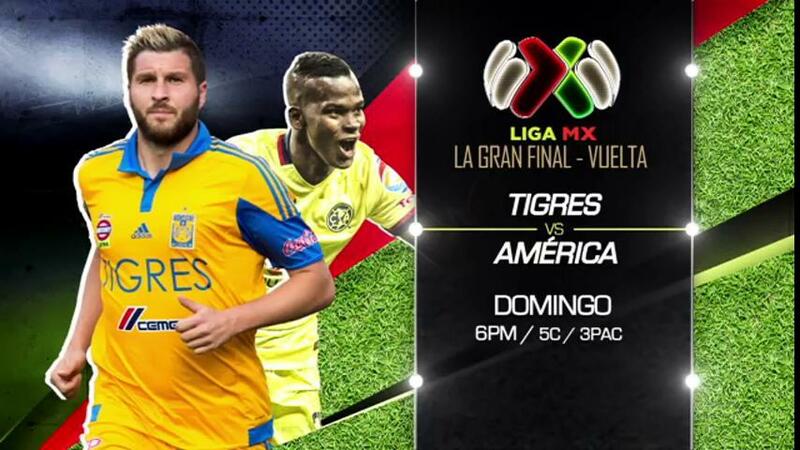 Thursday’s first leg match between América and Tigres delivered 2.8 million Total Viewers 2+ and 1.6 million Adults 18-49, making it the most-viewed first leg of the Liga MX final in Univision’s history – outperforming the 2014 Apertura final between the same two teams. On Sunday, Liga MX Final’s second leg match drew in 3.3 million Total Viewers 2+ and 1.9 million Adults 18-49, making it the highest rated Apertura final match in 10 years, since Toluca and Chivas played in the 2006 Apertura final round on Univision. Liga MX’s decision to schedule the Liga MX Final second leg on Christmas Day ended up being a win-win for the Mexican league. With many Mexican-Americans celebrating Christmas on December 24, it gave the viewers a chance to sit down and watch the final of the Liga MX Apertura on Christmas evening, boosting the TV viewing numbers on a day when there are no other soccer matches being televised. In the end, Tigres took home their fifth title, beating América on penalties. The return leg played on Christmas was a crazy game even by Liga MX standards…hope they start a tradition of playing the Apertura final on December 25th every year from now on. Quite a few of my football friends who normally wouldn’t give Liga MX a time of day were watching the game and there were countless back and forth of “is this really happening? From what I’ve heard, Liga MX has already scheduled the next Liga MX Apertura Final to be on Christmas Day next year too. Was a great game and a great end to my Christmas, though I may need to learn Spanish to fully enjoy these games. Very exciting final and yes I would recommend Spanish even if it was broadcast in English, it most likely would sound like the MLS SAP option which would be awful. I watched and enjoyed it. I wonder how long until a network picks up the rights in English. And the final was up against the NBA and the NFL, unlike the MLS, Liga MX can draw a good number despite having competition. It also trended all night on Twitter despite many sports and non-sports related things happening that day. No matter what language its broadcasted in, that was truly an instant classic. Would love it if Univision offered it in English using the SAP button. A great & intense league that is enjoyed by us avid football/soccer fans. Congrats UANL!!! I enjoy both the liga MX and the Mls. It is exiting to see both leagues grow and having tournaments like the concacaf champions league, were teams from both country’s as well as others from north america compete against each other.